Are you looking to take your family camping or your class on a field trip for the day? Maybe you're visiting our beautiful area and wish to stay off the grid or at the Finger Lakes hostel? Perhaps you're looking for a place of solitude to meditate, practice yoga or begin your bicycle adventure around the lake? It is our intention that you reconnect with yourself, your family, and nature. Simply slow down and enjoy life. Picnic in rural splendor, walk through a hedge maze, laugh with children, contemplate the mystery of life while meandering a labyrinth, paddle boat or kayak on a pond or hike or bike into the Finger Lakes National Forrest. The Adventure Playground at Amaze'ing Acres evolves year after year with a newly added slack line to challenge your balance and build core muscles and a storybook like playhouse for the little ones. Honor our Native American ancestors and all our ancestors with a prayer or meditation at the Medicine Wheel. Our hours are seasonal May to October 31; it is best to call ahead and schedule your appointment, however spontaneity is welcome. School field trips are best scheduled for Mondays or Fridays. Wilderness or rough camping (read no amenities) is an option. Currently the Finger Lakes Hostel is not in operation but do check back periodically. Buses welcome! 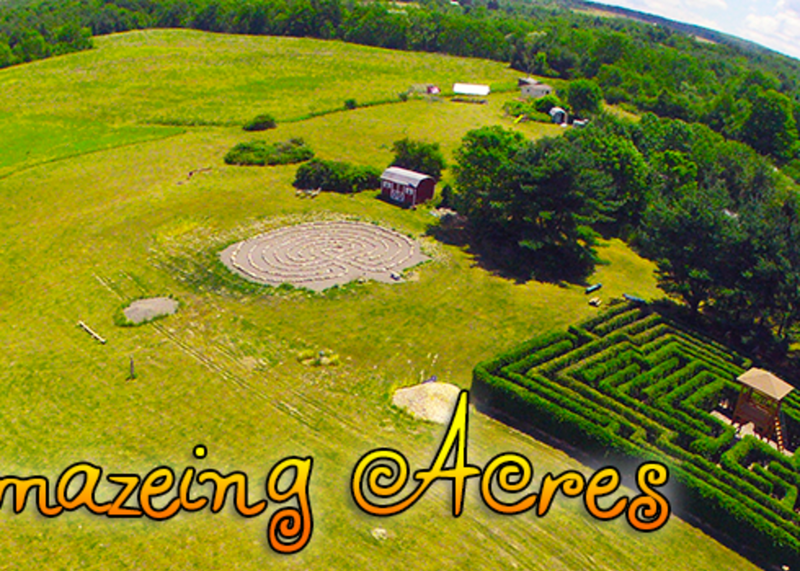 Amaze'ing Acres is available for your special event such as birthday parties, natural wedding or hand-fasting ceremonies, team building, retreats and fundraiser events.